In a surprising move, Barclays Bank have *reportedly taken a significant minority stake in Marketinvoice, the Fintech business funding platform. The move was reported to be as part of a strategic partnership, between the two organisations, to offer Marketinvoice's invoice financing services to some of Barclays' customers. Finextra quotes Ian Rand, CEO of Barclays Business Bank as saying ". . . Our corporate bank already offers invoice financing to large businesses, so it's great news that we're able to extend the proposition to work for our SME clients as well". 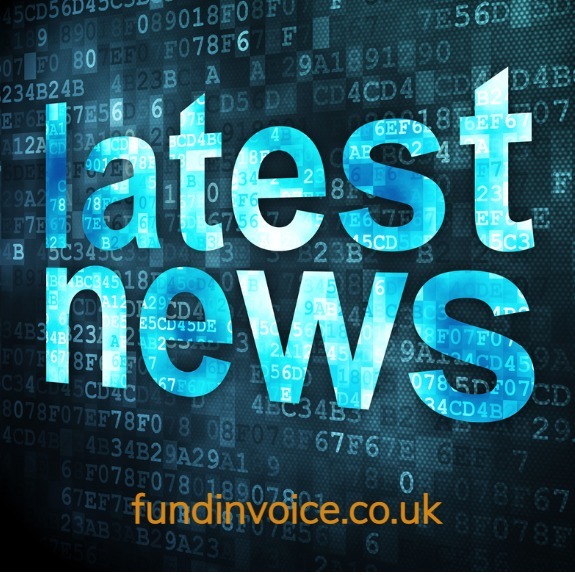 Access to Marketinvoice's innovative business funding products is apparently to be introduced to Barclays' SME clients over the coming months in areas across the UK. This includes East Midlands, West Midlands, Herts and North West London. Full roll-out is to commence nationwide in 2019. All credit to Marketinvoice for achieving such a deal, but I would be interested to understand why Barclays haven't chosen to reintroduce their own invoice finance services back into their SME portfolio? Having worked for Barclays, for over a decade since the late 80's, they had a great invoice finacing arm at that time, which was fast growing, and had offerings to fit the full spectrum of businesses. So I was surprised at their decision to outsource this service, for part of their portfolio. Of course it's early days, and I understand the task involved with getting buy-in from such a large branch network, but good luck to Marketinvoice. I will watch with interest to see this partnership progress.